All images by Alexis Noelle Barnett. New York Fashion Week: Men's, the first-ever week dedicated to specifically showing off all the hottest men's clothes (well first in a while at least, the last time this happened was in the '80s), is in full effect. 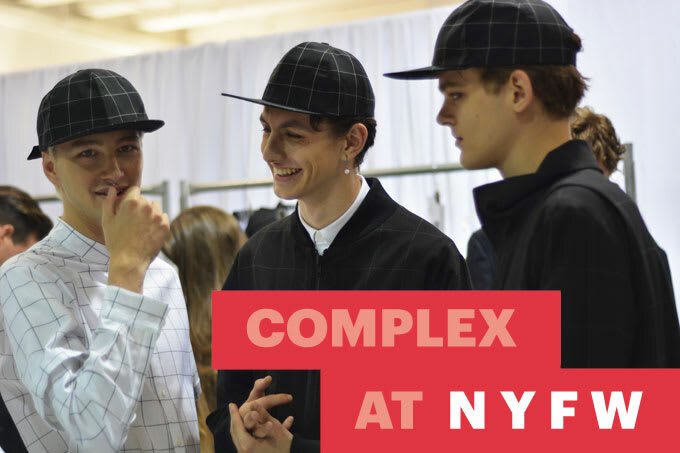 The Complex Style squad has been running around seeing the best collections like John Elliott + Co., Ovadia & Sons, N. Hoolywood, and Public School. What you probably don't know is that there's a ton of work that goes into making the outfits and the dudes who wear them even more ridiculously good looking than they already are. So we sent a photographer backstage to capture all the stylish action. Take a look Behind the Scenes at the Best Shows at New York Fashion Week: Men's.